Animateducated: Happy Birthday Bugs Bunny! Is Bugs flipping off Elmer? 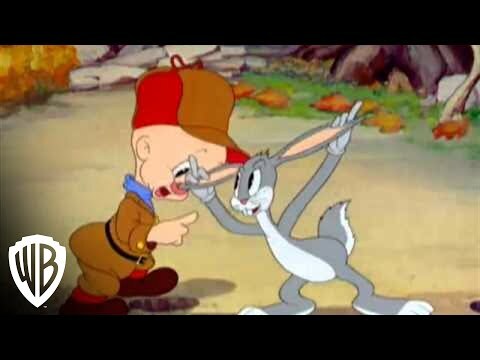 Today, July 27, 2015 is Bugs Bunny's 75th Anniversary: "A Wild Hare" premiered on July 27, 1940. Directed by Tex Avery, story by Rich Hogan, music by Carl Stalling, editing & sound effects by Treg Brown, character designs by Robert Givens, BG designs by John Didrik Johnsen, animation by Virgil Ross, Charles McKimson, Robert McKimson, Rob Scribner, and voices by Mel Blanc and Arthur Q. Bryan. The great rabbit of the Golden Age of Animation is born!